Sweet and tart, that’s what this crisp is all about. 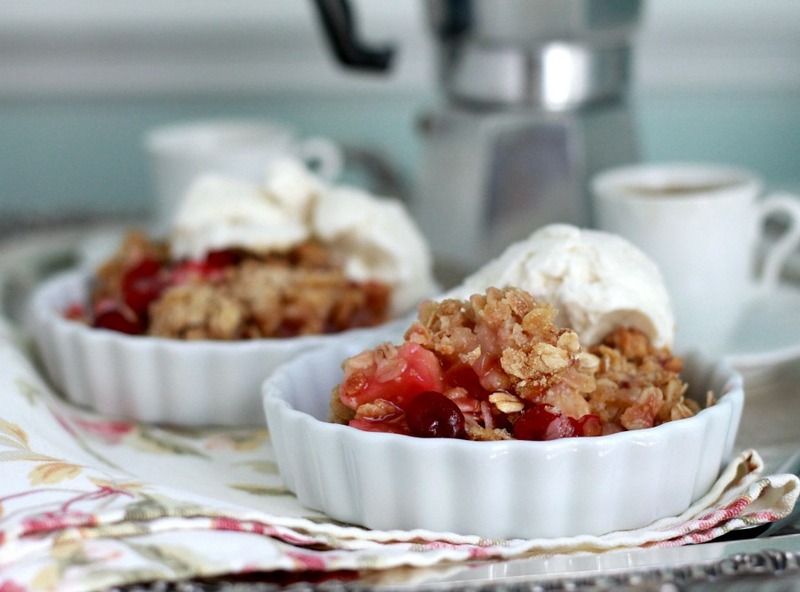 Cranberry apple crisp is full of sweetened cranberries and apples with an oatmeal crumble topping. 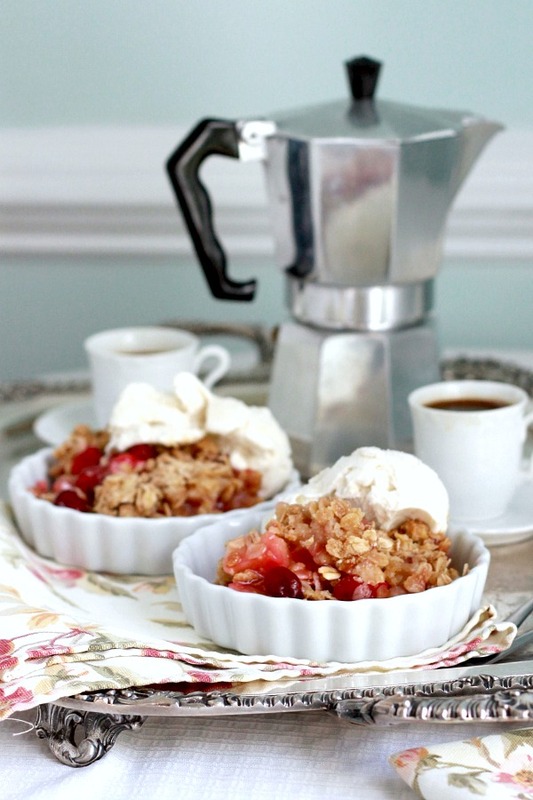 Top with ice cream or whipped cream for a lovely autumn dessert. Now is the time of year to pick up bags of cranberries and store in freezer bags in freezer to have on hand for baking throughout the year. Combine apples, cranberries, sugar and flour. Pour into a greased 11-in. x 7-in. baking dish. In a bowl, mix topping ingredients until crumbly; sprinkle over apple mixture. 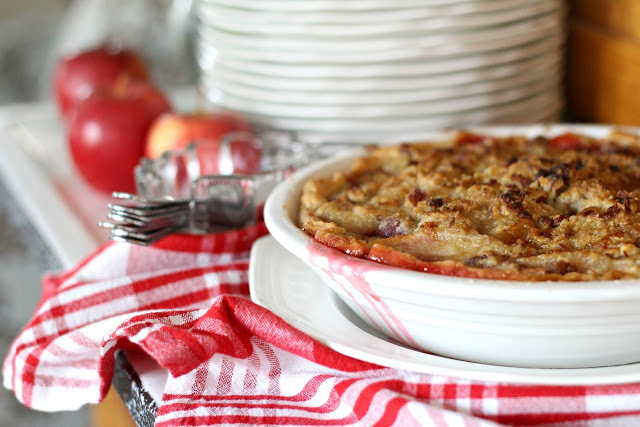 Bake at 350° for 50-55 minutes or until fruit is tender and juices are bubbly around the edges of baking dish. I often make apple crisp. The addition of cranberries is a great suggestion. The photo looks so appetizing. Hope you are having a nice weekend.